Despite an initial market panic, the election of Donald Trump as president helped boost most Chattanooga stocks today as investors expect higher interest rates and more infrastructure spending to aid key industries. Shares of Chattanooga's biggest publicly traded company, Unum Group, rose today nearly 7.7 percent to the highest price since Bill Clinton was president in 1999. Clinton's wife, Hillary, may have been defeated by Trump on Tuesday. But investors think insurance companies like Unum will benefit from the higher interest rates expected from the Federal Reserve Board as the economy improves and Trump pushes more spending and a different monetary approach by the Fed. The prospect of more infrastructure spending promised by Trump and now supported by a Congress from the same political party also helped boost shares of Astec Industries to an all-time high and lifted Miller Industries shares by a strong 5.7 percent in trading on the Nasdaq Exchange today. Astec shares jumped 16.1 percent today. Higher interest rates also should help banks, boosting shares of First Tennessee Bank by nearly 7.9 percent, Regions Bank by nearly 6 percent and Suntrust Bank by 5.6 percent. Overall, U.S. stocks rallied most of today following a shaky start and an overnight plunge in futures trading. Markets seemed reassured by Trump's acceptance speech and the pledges by Obama and Clinton to help the new president. In response, the Dow Jones industrial average rose within 50 points of a record high close today, climbing by 256.95 points, or 1.4 percent, to 18,589.69. The average was briefly up 317 points. The Standard & Poor's 500 index gained 23.70 points, or 1.1 percent, to 2,163.26 The Nasdaq composite index rose 57.58 points, or 1.1 percent, to 5,251.07. Early Wednesday, some analysts warned that the Trump victory could push cause more instability and limit international trade. 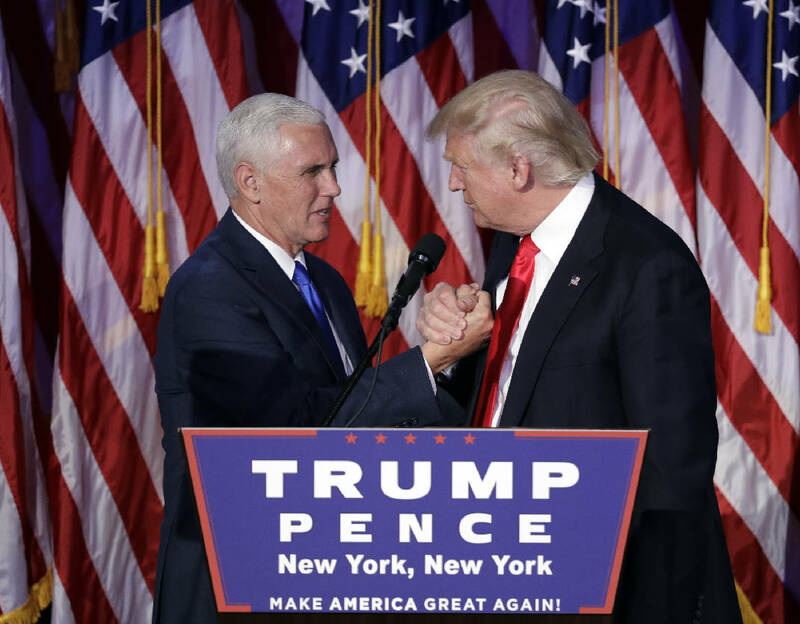 "A Trump presidency is an unanticipated – and unwelcome – outcome in the eyes of financial markets, so we'll see a large and immediate pullback globally and a flight to quality," Bankrate.com's chief financial analyst Greg McBride warned early today. "Expect a 10-15 percent stock market pullback over the next few weeks, a sharp drop in long-term interest rates, and the Fed to remain sidelined next month. "The shock of this outcome makes Brexit look like a picnic, and it is." But as the day moved on, investors seemingly warmed up to the idea of president-elect Trump, and traders piled into health care and financial stocks — sectors seen as likely to struggle under a Clinton administration.